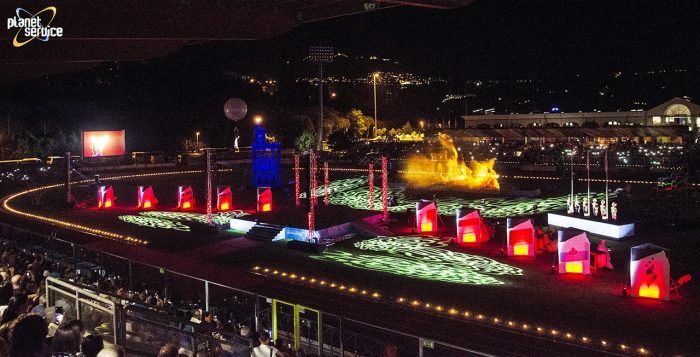 The opening of the XVII Games of the Small States of Europe, which took place from 30 May to 3 June at the San Marino Stadium in the San Marino Republic, was a ceremony of great emotional impact and suggestion, inferior only to the extent of the spectacularity of the opening events of the World Olympic Games. The set of choreographies, music and lights was intertwined with the most ‘official’ elements – the athlets’ parade, the greetings of the authorities, the flashing of the torch – while keeping the attention and emotion of over 6,000 spectators alive during the whole event, broadcast live on TV. “We used the new NRG 1401 LED moving heads by DTS, and also the EVOs and RAPTORs as well as other DTS projectors, for a total of 100 fixtures. To light such a multifaceted and dynamic show, we carefully planned in advance the type, quantity and placement of the lighting fixtures. The project was drawn in synergy with TV director Vittorio Picconi – who directed the live broadcast of the opening – and with the television staff in pre-production.” – said Manuel Gamberini, LD of the event. 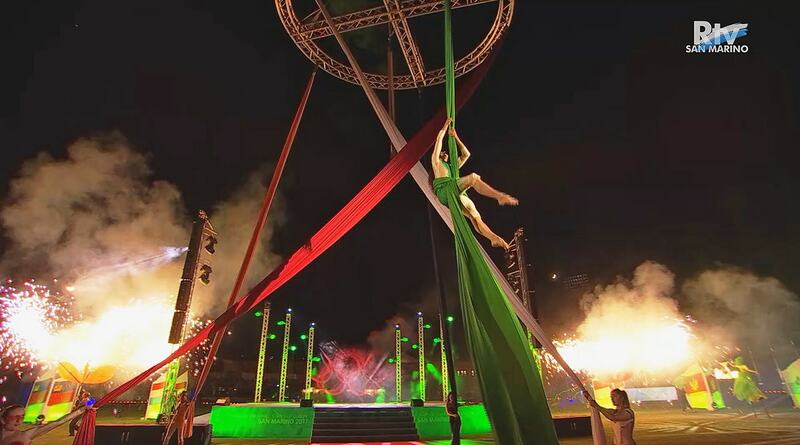 “The NRG1401 units have been placed on the towers in the rear of the stage; The RAPTORs were used to highlight the large scenography; also we installed the EVOs on the audio towers. 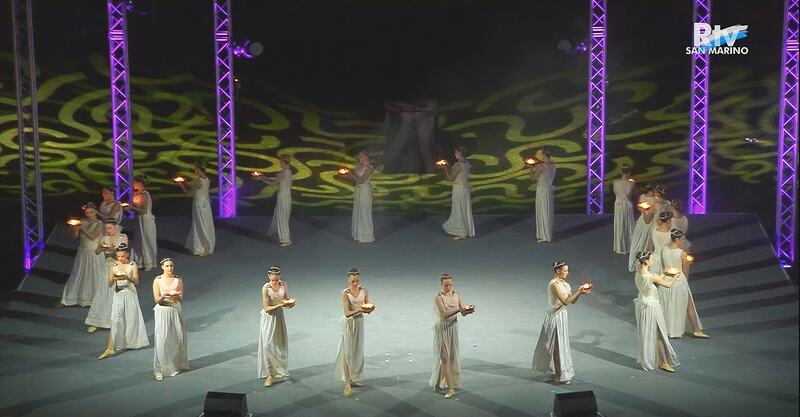 The opening ceremony began with the floral tribute of 22 handmaids, started on the San Marino Stadium stairs and continued with their evocative choreography on the central stage. 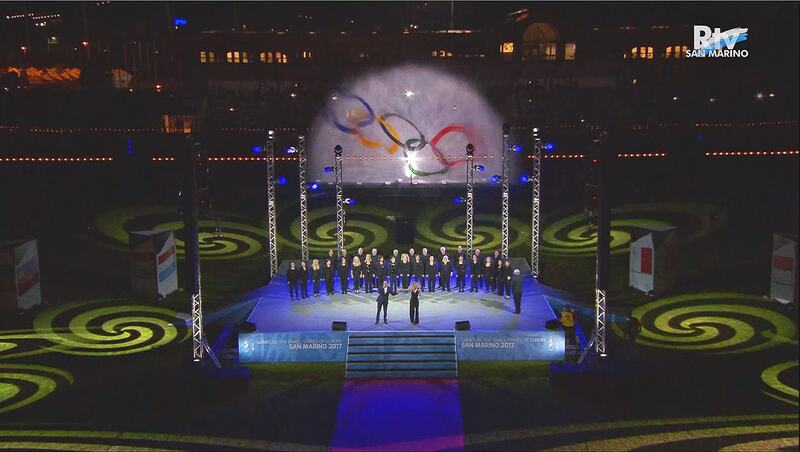 Then there was the ‘Olympian Dream’ hymn sung by a large choir, followed by the ignition of the Olympic flame made by a dancer magically suspended in the air. As well as the performance – halfway between dream and folklore – of the ‘Company of Fools’, and the great spectacle of the fireworks accompanied by music. In all respects, a great productive effort for an exciting and varied ceremony, technically perfect and rich of artistic contents.